As per usual, there was no shortage of races over the Christmas period and Eagle AC members were in most of them. 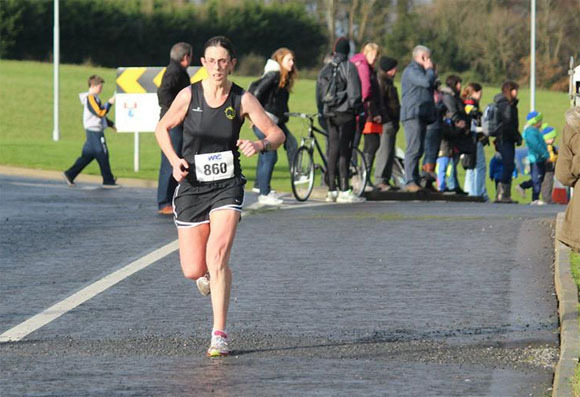 Belgooly 4 mile : In the annual Belgooly 4 mile race on St.Stephen’s Day, we had 28 members out with Mary Cotter and Frances O’Connor winning the F50 and F55 categories respectively. 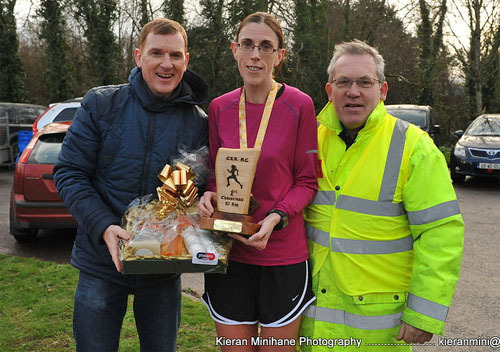 Farranfore 5k : Deirdre Nagle was the 4th woman home in this 5k race in Kerry on the 26th of December. There was a mistake on the day with the turn around point which resulted in the course being 5.65kms long. 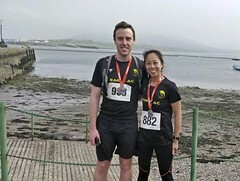 Deirdre’s approx time for 5k was 19:15. 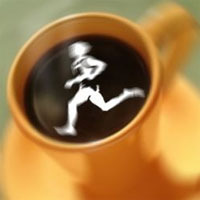 Carrigaline 5k & 10k : The annual Carrigaline Christmas 5k & 10k run was held on Saturday the 27th of December. 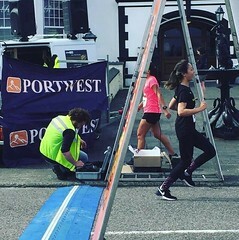 There were no results for this event but some of those taking part were Colin O’Herlihy, Alan O’Brien, Mary Cotter, Ken Wyman and Elaine Guinane. 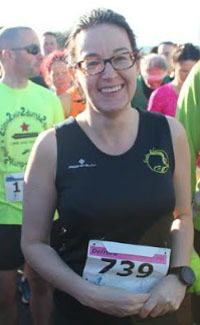 Elaine was the first woman home in the 10k. 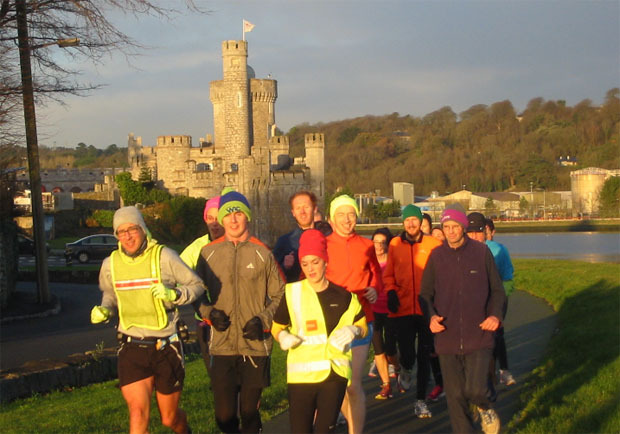 Togher 5k : This race in Cork City on Sunday the 28th of December attracted another large batch of Eagle AC members. Club names weren’t given for most of those taking part so it’s hard to pick out all the club members. 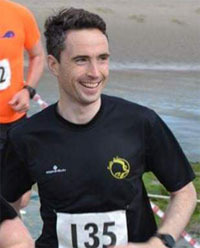 Cloyne Commons 4k : In this 4k race in East Cork on Sun 28th, Damien Kenneally finished an impressive 6th out of 218 finishers. 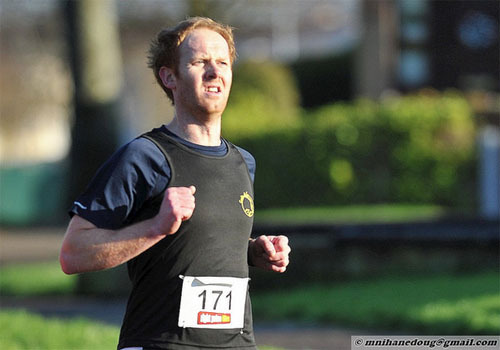 Moore Abbey Milers One Mile Dash : This unique one mile road race in Tipperary was held on Sun 28th Dec and Derek O’Keeffe finished 8th out of 84 finishers. 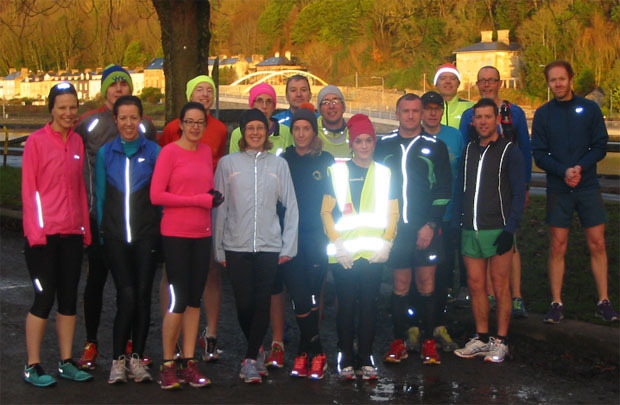 The club held its annual Christmas run on the 24th of December on what was a cold but sunny morning. As in previous years, the run tied in with Grellan McGrath’s run where he runs his age in miles on his birthday…only 49 miles this time! Proceedings got under way at 4am in Ballincollig with Denis Looney and Alan Foley joining Grellan for the first two hours. 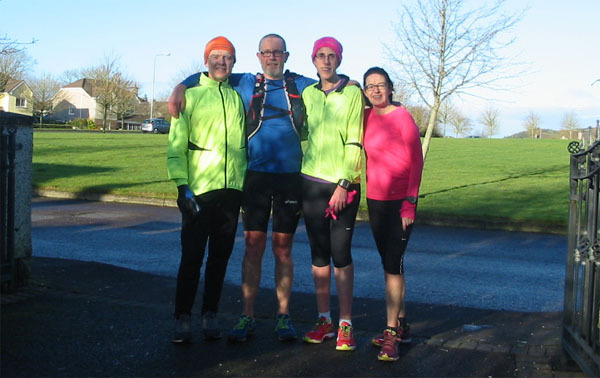 Tim McCarthy and Sandra Manning then joined him at 7:45 for the long run into the city to meet the main club run starting at 9am. 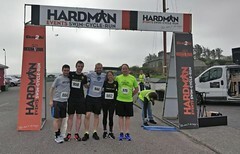 Most club members then proceeded to run down the Marina into Blackrock and along the walkway in Mahon. Some did the 5.9 mile loop while others joined Grellan on the run back in towards the city and turning back at various points along the way. 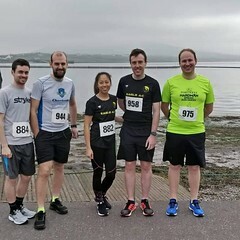 A few continued on as far as Ballincollig and the end of the 49 mile run for Grellan…with an average pace of about 8:50 minutes per mile! 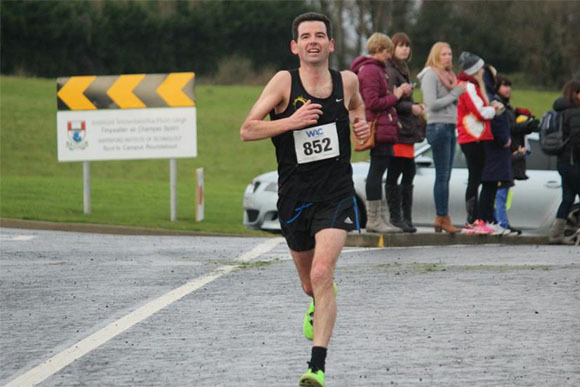 The Charleville Half-Marathon last September doubled up as the 2014 Munster Half-Marathon Championships. The clubs women’s senior team finished in second place on the day to secure silver. Recently the full results were updated to show the teams also in the masters categories. 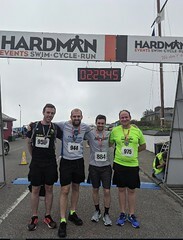 Our men’s masters team finished in 3rd place to take bronze while our women’s masters team finished second to take silver. The club has now taken delivery of the medals from the Munster Athletics Board and these will be presented at the club AGM in January. 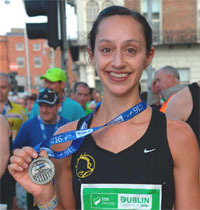 2nd Senior team – Sandra Manning, Elaine Guinane, Adelle O’Connor. 2nd Masters Team – Adelle O’Connor, Frances O’Connor, Fiona O’Riordan. 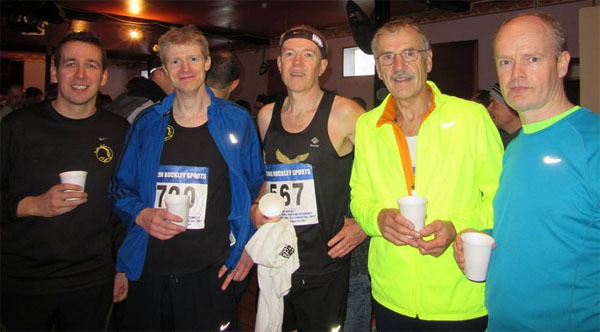 3rd Masters Team – Don Keohane, Pat O’Connor, Kieran Mulcahy. Athletics Ireland released their year end membership figures yesterday for all the clubs in Ireland. 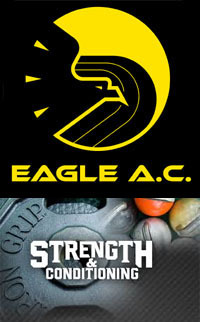 Eagle AC now has a record 192 members which is up 18.5% on the 2013 figure (Previous year was up 11.7%). As can be seen, two years ago there was quite a variation in size between the largest clubs. 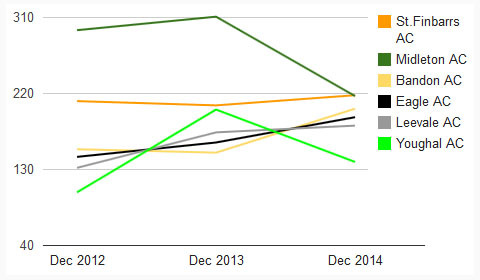 Now at the end of 2014, there are five around the 200 mark. 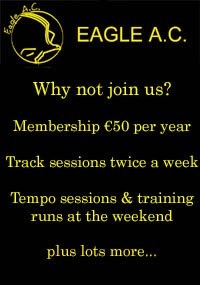 With the exception of Bandon AC, the club is also one of the fastest growing. The Christmas season of road races got under way this weekend with these two 5k road races. 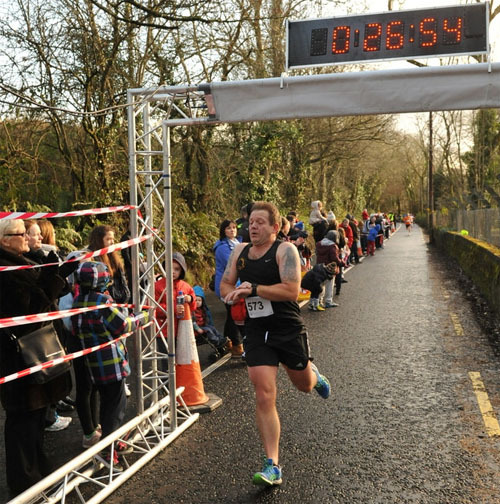 Newmarket 5k road race : 232 runners took part in this 5k road race in NW Cork on Sunday the 21st of December 2014. 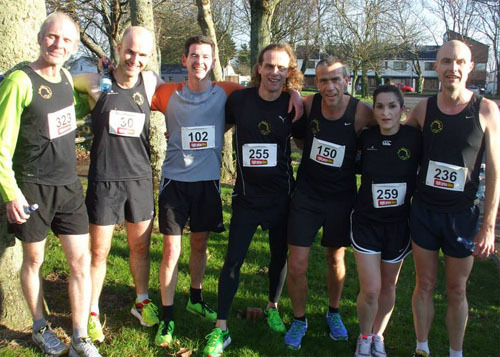 Organised by Duhallow AC, the race had 7 Eagle AC members listed in the results. Here is a round up of some recent results. 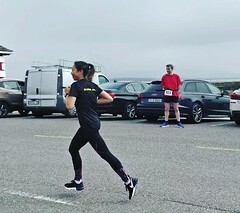 There are a few races like the BHAA Turkey Trot and the Kinsale 5k Santa Dash where club names aren’t listed and it’s impossible to pull out all of the Eagle AC members. CIT Cross Country: Two members took part in this cross country event under floodlights, held last Friday night, December 12th. 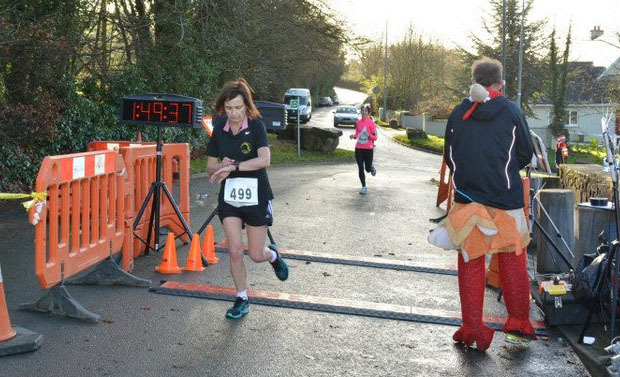 BHAA Turkey Trot: There were plenty of Eagles enjoying this festive race last Sunday. 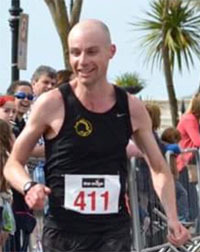 Well done to Alan Hackett who predicted his time to within ONE second of his actual finishing time and won the event! 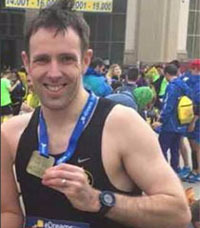 Alan predicted 26:20 and ran 26:19. 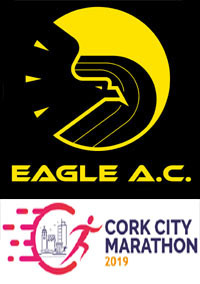 20 Eagle AC members made to trip to Waterford on Saturday 6th December for the annual half-marathon organised by Waterford AC. 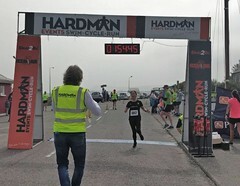 By all accounts, it was a well organised event with over 1500 runners taking part. There were many fine times set by the Eagle crew with several new PB’s in the mix. 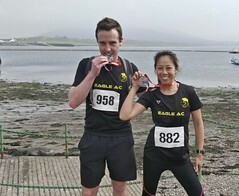 Both Elaine Guinane and Ronan Boland managed to get into the prizes with Elaine finishing 3rd F35 and Ronan 2nd M50. 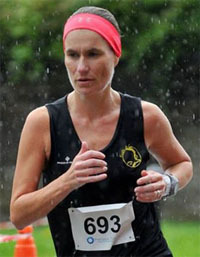 Elaine Guinane…3rd in the F35 category. 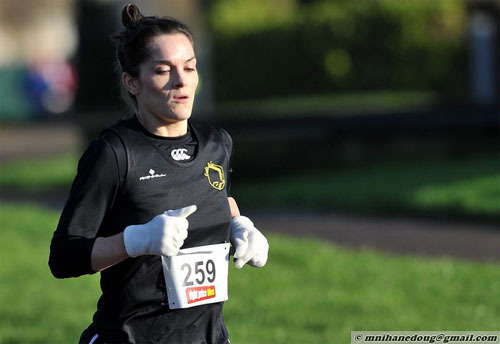 She also managed a huge improvement in her Half PB jumping from 1:34:19 to 1:31:53…an improvement of 2:26!